A new practice guide has been produced to help practitioners support people with overlapping sight loss and drug and alcohol issues. The guide follows research identifying that neither sight loss or substance abuse services feel adequately equipped to deal with these overlapping issues, and as such aims to help support better identification and responses in this area. The issue highlights how many professionals with the chance to offer alcohol brief interventions will be working with a range of different issues that may be closely interlinked. As such ensuring practitioners feel able to respond appropriately is essential, and often why often IBA itself is overlooked as an important early intervention. IBA is about offering a person an opportunity to make an informed decision about their alcohol use. Sometimes it will be straightforward, and discussions around motivations and strategies for change will be along more common lines. At other times, discussion may need to reflect and support other issues – for some people sight loss will be one of them. Further guidance for IBA delivery has been released, outlining the evidence for IBA and minimum standards for delivery in Hospital and Criminal Justice settings. Guidance for community health settings was also released earlier this year – full report here [pdf]. Although the documents share many of the same sections in terms of explaining IBA and the evidence base, setting specific implications and invest to save rationale are included. Alcohol misuse costs the NHS £3.5 billion per annum; much of this burden is from hospital care. In 2010/2011 there were 1.2 million alcohol-related hospital admissions. This equated to 7% of all hospital admissions and offers a substantial opportunity to intervene. 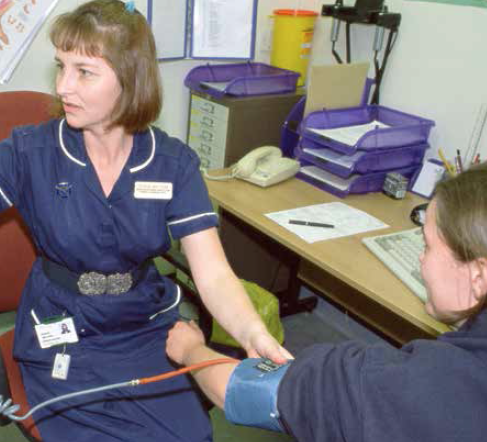 Over 14 million people are treated in ED in England each year. The Department of Health estimates that 35% of ED attendances in the UK are attributable to alcohol, increasing to 70% between midnight and 5am. Almost one third of London fire deaths are alcohol related. 11% of male high blood pressure is alcohol related. A National Statistics study found that 27% of people with severe and enduring mental health problems had an AUDIT score of 8 or more in the year before interview, including 14% who were classified as alcohol dependent. is three times greater than in the general population. As many as 75% of arrestees may be risky drinkers and therefore appropriate for brief advice. In 2010/2011 1.4 million people were arrested in England and Wales highlighting police custody as an effective setting to reach around 3% of the adult population annually. Self-reported associations between drinking alcohol and the offence were identified in two fifths of respondents and for 50% of violent crimes. 47 % of violent crime is believed to be alcohol related. 45% of victims of domestic violence say their attacker had been drinking. The national cost of domestic violence to criminal justice, health, social, housing and legal services as well as the economy amounts to more than £5.7 billion a year. A study of arrestees and offenders who had been given brief advice and treatment in police custody or referred elsewhere identified that 40% of respondents found the advice useful. The guidance was commissioned by the Safe Sociable London Partnership, a regional body aiming to supports alcohol improvement work in London. A new document outlining the evidence for IBA and standards for delivery in a range of settings has been released. Commissioned by the Safe Sociable London Partnership, the document provides an overview of the evidence base for IBA as a short ‘brief intervention’, and suggests how it should be delivered in key community health settings. 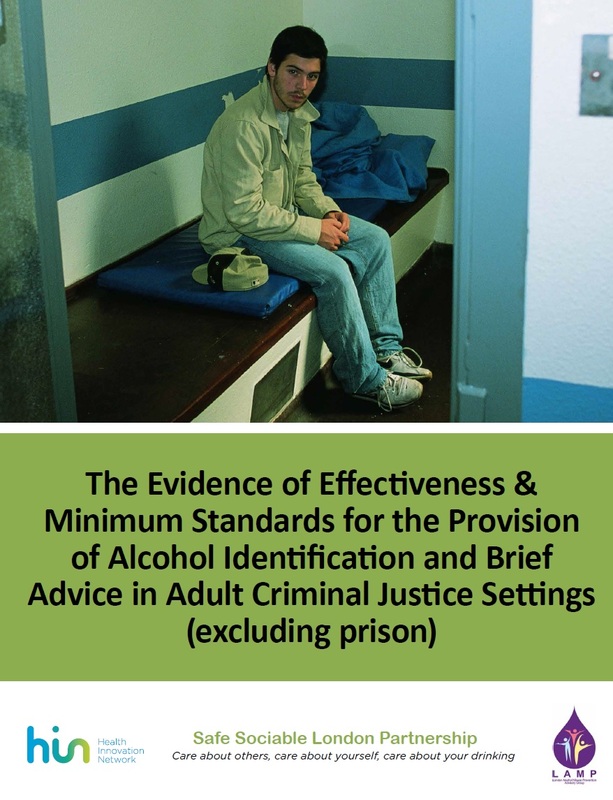 ‘Identification and Brief Advice’ has been central to England’s alcohol policy, particularly given its effectiveness in comparison to other individual level interventions. 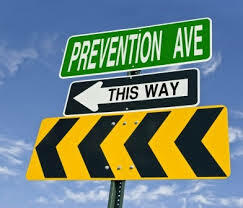 Brief intervention is most likely to ‘work’ because a combination of ‘identifying’ a level of risk – and ‘feedback’ to the drinker to inform them of this – may trigger a process of change. In contrast, just handing someone a booklet means even if it is read, a risky drinker may not realise the information is relevant to them and assume they are fine. Brief advice may also give added benefits, such as helping build a person’s motivation or belief in their ability to change. The report also addresses the crucial issue of ‘making it happen’ through what it describes as ensuring ‘organisational ownership’, as well as the need for training, materials and inter-linking IBA with related issues and policy. Some of the statements within the report will still be subject to debate. In particular, exactly what ‘brief advice’ consists of, and whether IBA should be implemented in all community health settings without more setting specific evidence. Exactly what ‘IBA’ is as a form of brief intervention has been explored in the ‘Clarifying brief interventions’ briefing [pdf], and IBA in non-health settings has been explored in recent research report. Clarifying Brief Interventions: 2013 update – beware ‘IBA lite’? In 2010 the first Clarifying brief interventions briefing mainly aimed to shed light on the differences between ‘IBA’ as simple brief intervention and EBI as Extended Brief intervention. This was in response to an apparent lack of clarity between the two approaches, and perhaps a false assumption that EBI was ‘better’ then IBA as a general approach. For the 2013 Clarifying Brief Interventions update the focus appeared quite different. Although the IBA agenda has clearly moved on, the focus appears to have shifted to simpler approaches, or ‘IBA lite’ as posed in the new briefing. These minimal or ‘lite’ approaches appear to reflect the challenges of implementing IBA across front line settings. Using shorter screening tools and providing just a feedback statement + leaflet takes very little time. 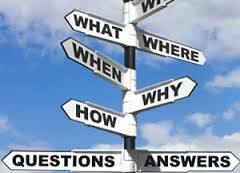 ‘IBA lite’ also relieves practitioners of the need to offer ‘brief advice’ which may often be perceived as lengthy or difficult. The appeal of IBA lite is therefore obvious. The briefing however highlights the limited evidence to support ‘lite’ approaches, but accepts that it may be a good starting point. If people are being ‘identified’ and informed of their risk level they are more likely to consider their drinking. But considering one’s drinking and making a change to it are not the same. Behaviour change is often much more complex, and the opportunity to further affect the drinker’s motivation to change is lost with ‘IBA lite’. Take for instance a drinker who after ‘IBA lite’ decides they would like to reduce their risk, but feels it will be too difficult to cut down. They are not aware of some very simple strategies that could help them, or that they can change via ‘small steps’ rather than needing to take one giant leap. 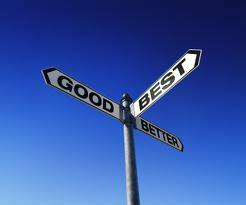 Helping identify simple strategies or manage expectations are some of the obvious benefits of offering ‘brief advice’. However, it cannot be said that IBA, as in including the offer of verbal brief advice, is the most ‘superior’ form of brief intervention. Nor can the same be said for EBI including more motivational techniques. The truth is there is still much more to be learned about the effective elements of brief intervention, and it what circumstances they might apply. In Scotland, more emphasis on empathy and motivational enhancement was placed in their national brief intervention programme, although in England ‘IBA training’ has been provided widely and to no common framework. Future brief intervention research is increasingly focussing on not if, but how it works. This needs particular attention to the challenges faced on the ground. In the meantime, we still need to be aiming for something more than the easiest minimal approaches. ‘IBA lite’ may be a start, but my sense it is probably not close enough to what really helps most drinkers to enact a change in their drinking.